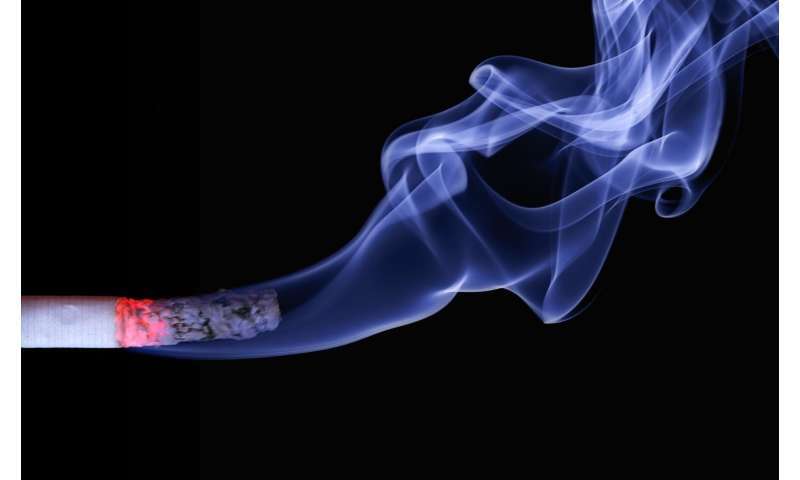 Professor Nick Voulvoulis, from the Centre for Environmental Policy at Imperial, said: "The environmental impacts of cigarette smoking, from cradle to grave, add significant pressures to the planet's increasingly scarce resources and fragile ecosystems. Tobacco reduces our quality of life as it competes for resources with commodities valuable to livelihoods and development across the world." 'Processing' – the curing of tobacco leaves to produce dry tobacco – is highly energy intensive, using coal or wood burning that contributes to greenhouse gas emissions and deforestation. Tobacco production also uses more than 22 billion tonnes of water. The world's top cigarette consuming country – China – harvests over 3 Mt of tobacco leaves using over 1.5 million hectares of arable land and significant fresh water resources – while habitats suffer from water scarcity and nearly 134 million of its people are undernourished. Dr. Nicholas Hopkinson, from the National Heart and Lung Institute at Imperial, said: "Smokers in the developed world are literally and metaphorically burning the resources of poorer countries." The devastating impact of the automotive industry on human health is well known. However, a new report systematically outlines for the first time the substantial impact of the automotive industry on the environment. They didn't even include cigarette-started wildfires. Climate change? Who writes this crap? Notice no university. Don't worry. Tthe reduction in lung cancers will be more then made up for with increased stomach and colon cancers when the Po210 on tobacco fields enters the food supply. Smokers are morons and in the West, much of it is now more or less confined to the less educated, poor. But it's still legal and the fact smokers die younger than the normal age for death actually saves money in the long run. There are other costs associated with smoking. In Toronto, idiots caused 80 fires this year tossing cigarette butts of apartment balconies. This "crap" as you say, was conducted by one of the world top universities: Imperial College London. If you would had only took the time to click on the DOI link you would had saved yourself a major embarrassment. Now we all know that you suffer from intellectual laziness. This would have been a study with substance, until they added the shite of climate change.